Real Photo Postcard, 1930's. 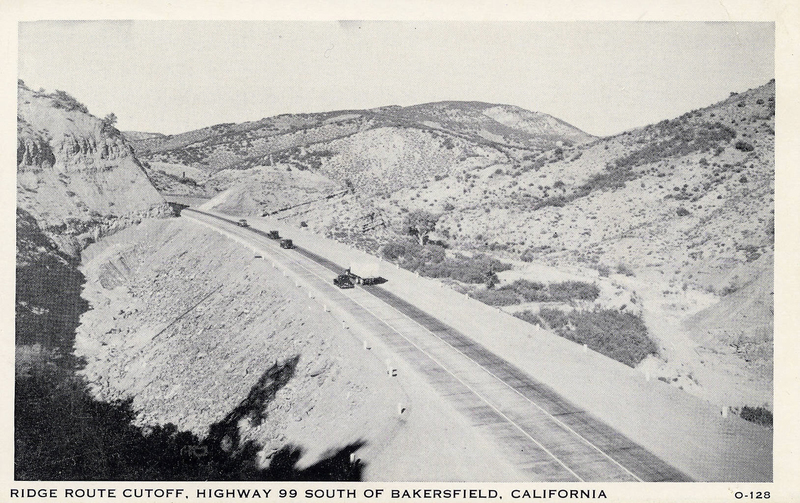 entitled "RIDGE ROUTE CUTOFF, HIGHWAY 99 SOUTH OF BAKERSFIELD, CALIFORNIA." AL2089: 9600 dpi jpeg from original postcard, collection of Alan Pollack.